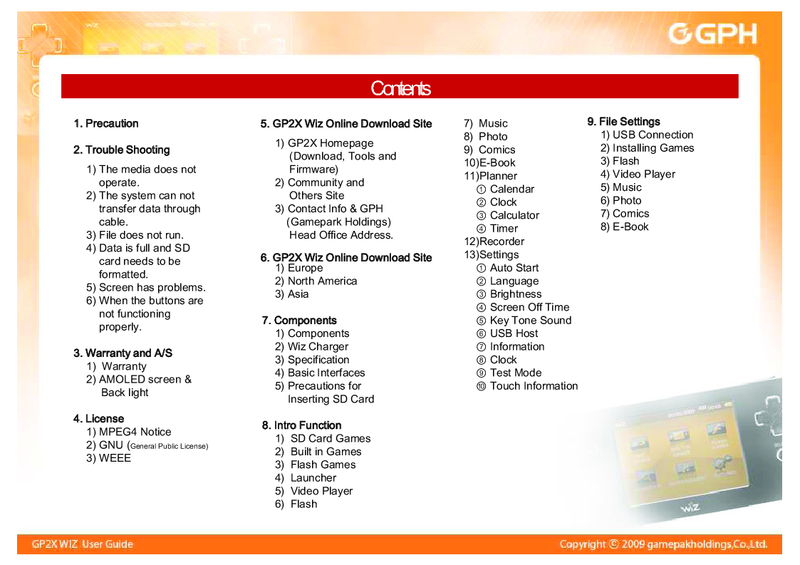 Kinda of a GMenu2x for dummies guide with pictures. I hope it will be helpful for those unable to get this wonderful program to work for them. GMenu2x Makes the wiz come alive. Derived from the original GMenu2x Documentation. OpenGL ES 1.1 lite libraries for the Wiz. Needed for the Propis demo. Opengles_lite.so from the firmware 1.2.0 r317. Improved performance in OpenGL applications like GLQuake. A small DPAD-Mod which will add a better pivot to your DPAD. 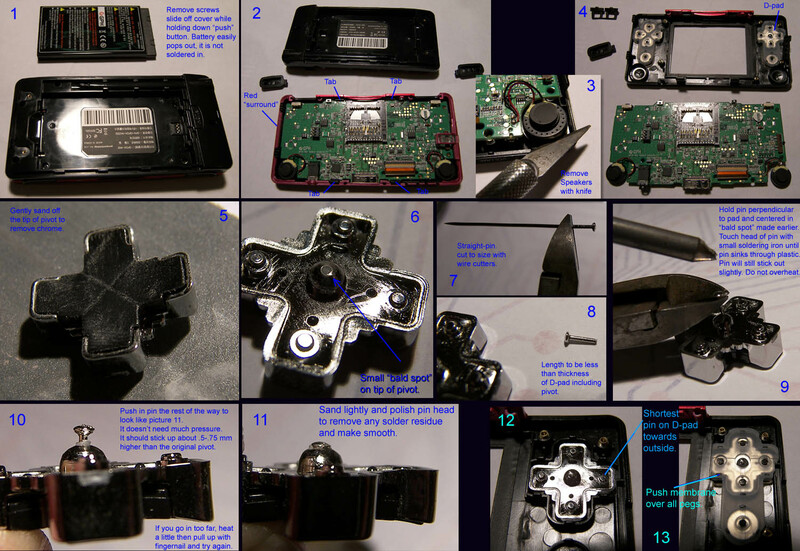 NOTE: Opening up and modifying the DPAD probably voids your warranty. We take NO responsibility in case you're doing something wrong when modding! The german manual for the GPH WIZ. PDF only! Several 3D OpenGl demos for the Wiz. Only works with OpenGL libaries installed. It's same as old Wiz SDL Libraries(https://dl.openhandhelds.org/cgi-bin/wiz.cgi?0,0,0,0,23,138). But now it contains new version of SDL(1.2.13) with better performance. Files and a detailed explanation (PDF) are included. You need a Bob or a modified serial cable to unbrick the Wiz! Driver and script for Wiz WLAN support. Ralink RT2870/3070 based USB stick and Wiz developer board or EXT to USB adapter necessary.